Spring is here! For many gardeners, this means spraying clouds of herbicides and pesticides that can kill or weaken neighborhood bees. Fancy a cool drink of Round-up, anyone? 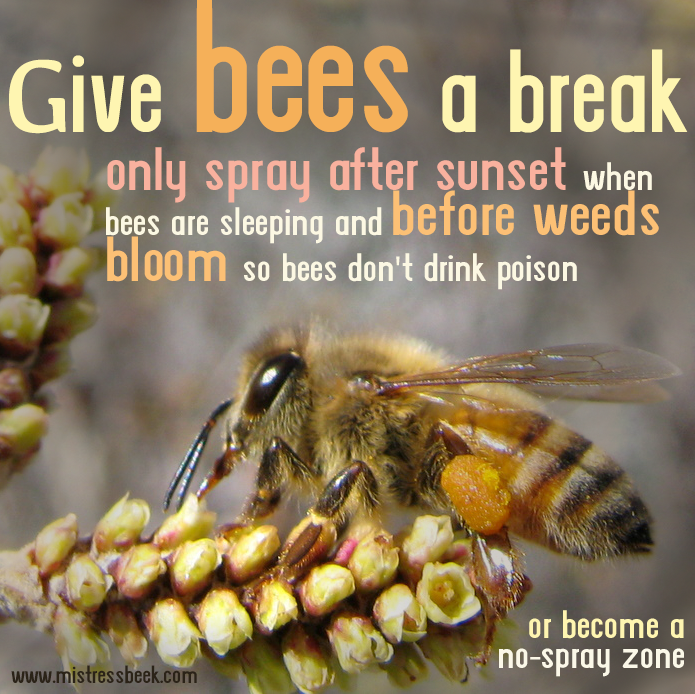 Here’s how you can minimize damage to neighborhood bees if you absolutely must spray chemicals in your yard or garden. Of course, this won’t help with a new kind of garden evil — neonicotinoids — but every little bit helps. Even better, pull weeds instead of spraying and keep everyone healthy, happy, and safe.